This great Scholar, Saint and Mystic, Hujjatul Islam, Mawlana Haamid Raza Qadri (Alaihir Rahmah), was born in the month of Rabbi-ul-Awwal, in the year 1875 (1292 A.H.) in Bareilly Shareef. According to the family tradition, he was given the name Muhammed, the value of which in Arabic numerals is 92, at the time of his Aqeeqa. His second name given to him was Haamid Raza, and his title was Hujjatul Islam. Hujjatul Islam, Mawlana Haamid Raza Qadri (Alaihir Rahmah) was the son of the great Mujjadid of the 14th Cenury, A'la Hadrat Ash Shah Imam Ahmed Raza Khan Muhaddith Bareilwi (Alaihir Rahmah) who was the son of Hadrat Mawlana Naqi Ali Khan (Alaihir Rahmah) who was the son of Hadrat Mawlana Raza Ali Khan (Alaihir Rahmah). He attained all his knowledge at the feet of his blessed father, A'la Hadrat Imam Ahmed Raza (Alaihir Rahmah). He attained proficiency in the fields of Hadith, Islamic Jurisprudence, Tafseer, etc. and graduated with distinctions at the age of 19. His exalted father admired Mawlana Haamid Raza Qadri for his sincerity and dedication in gaining knowledge. A'la Hadrat loved him so dearly, that he said: Haamidum min'ni wa ana min Haamid meaning Haamid is from me and I am from Haamid. He was not only a great scholar, but he was the best teacher of his time. He was famous for his lectures on the topics of Hadith and Tafseer. He held a unique position in the command of the Arabic language. He was an excellent poet and his poetry was pure and gentle. His poems (Naats) were written in the deep love of the Holy Prophet Muhammed Mustafa (sallal laahu alaihi wasallam). His served the Maslak-e-Ahle Sunnat and the Silsila-e-Aaliyah Qadriyah Barakaatiyah Radawwiyah with complete sincerity and humility. He spent his entire life in striving for the upliftment of the Muslim Ummah. Mawlana Haamid Raza Qadri (Alaihir Rahmah) is the fortieth grandmaster in the Spiritual Chain of the Aaliyah Qaderiyah Barakaatiyah Radawiyyah Order. Hujjatul Islam (Alaihir Rahmah) was the Mureed and Khalifa of Noorul Aarifeen, Hadrat Sayed Shah Abul Husain Ahmad-e-Noori (Alaihir Rahmah). His Spiritual Master was from amongst the great Mashaa'ikh of Marehrah Shareef. Hadrat Abul Husain Ahmad-e-Noori (Alaihir Rahmah) had immense love for his beloved disciple and guided him with his rays of spiritualism in the path of mysticism. Hadrat Noori Mian (Alaihir Rahmah) was the Mureed and Khalifa Khaatimul Akabir Hadrat Sayyid Shah Ale Rasool Marehrawi (Alaihir Rahmah) who was the Peer-o-Murshid of A'la Hadrat, Azeemul Barkat (Alaihir Rahmah). Mawlana Haamid Raza Qadri was also blessed with Khilafat by his father, Imam Ahmed Raza (Alaihir Rahmah). Allah azza wajal blessed Sheikh Hujjatul Islam, Mawlana Haamid Raza Qadri (Alaihir Rahmah) with two sons and four daughters. The names of his sons are: Mufassir-e-Azam, Hadrat Mawlana Ibrahim Raza Khan (Alaihir Rahmah) also known as ?Jilani Mian? and Nu?mani Mian, Hadrat Mawlana Muhammad Hammaad Raza Khan (Alaihir Rahmah). In addition to his inner spiritual beauty, Allah Ta'ala has blessed him with outer beauty as well. All those who saw Hujjatul Islam have said that never had they seen in their era such a handsome and beautiful personality. Scores of non-Muslims accepted the pure religion of Islam only by looking at his blessed face. The excellence of his handsomeness was such that anybody who saw him would say, Haaza Sheikh Hujjatul Islam, Mawlana Haamid Raza Qadri, meaning, This is the Proof of Islam. When Hujjatul Islam (Alaihir Rahmah) travelled to the Holy cities of Makkatul Mukarramah and Madinatul Munawwarah for Hajj and Ziyarah, he was blessed with meeting great scholars such as Sayyid Husain Dabbaagh and Sayyidi Maaliki Turki (Alaihir Rahmah). After meeting Hujjatul Islam, Mawlana Haamid Raza Qadri (Alaihir Rahmah), both these learned scholars said: From the learned and talented personalities in India, we have never met anybody more fluent and commanding in the Arabic language than Hujjatul Islam, Mawlana Haamid Raza Qadri. Many travelled just to make Ziyarah of his blessed face. It has been stated that he once went to a place called Gawaljaar. For as long as he stayed there, the King of Gawalyaar (a Hindu) used to come daily to make Ziyarah of the blessed face of Mawlana Haamid Raza Qadri (Alaihir Rahmah). Once Hujjatul Islam, Mawlana Haamid Raza Qadri (Alaihir Rahmah) arrived home from a journey. At the railway station was Ata'ullah Bukhari. On seeing Hujjatul Islam (Alaihir Rahmah) he enquired concerning him and was informed by the people that this was Hujjatul Islam who was the son and Successor of the great Mujaddid, lmam Ahmed Raza Khan (Alaihir Rahmah). Ata'ullah Bukhari then said, "I have seen many Molvis, but I have seen none as handsome and bright as him." Hujjatul Islam was a shining example of his pious predecessors and illustrious fore-fathers. He possessed a beautiful character and had all good habits. He was a very pleasant and gentle person and would always smile when he spoke to anyone. His respect for the elders and love for children was one of his blessed qualities. He always lowered his gaze when in conversation or when walking in the street. He spent most of his time in the recitation of Durood Shareef, and it was for this reason, that many had witnessed him recite Durood aloud even when he was asleep. Mawlana Haamid Raza Qadri (Alaihir Rahmah), like his blessed father strongly opposed the British and their counterparts. He was always firm in his beliefs and never compromised his principles, which were based on the Holy Qur'an and Hadith. He dressed very humbly. Not withstanding his status and knowledge his lifestyle remained the epitome of simplicity. Even though he was a great scholar and the son of the Mujjadid of the Century, he never showed any pride over his knowledge. He respected all the Ulama and Mashaa'ikh and humbled himself in their presence. Huzoor Hujjatul Islam, Mawlana Haamid Raza Qadri was a very radiant and handsome personality. He was such a humble person that when I would journey from Madinatul Munawwarah to Bareilly Shareef, he would be such an excellent host that he would even take a cloth and personally shine my shoes. He never allowed anyone else to serve me and he would personally serve my meals to me. I have difficulty expressing the extent of his hospitality. When I would prepare to return for Madinah Shareef he would humbly say, "Please convey my Salutation in the Exalted Court of Sayyiduna Rasoolullah (sallal laahu alaihi wasallam), and pray that he invites me to the Holy City." Mawlana Haamid Raza Qadri (Alaihir Rahmah) was a radiant personality. Likewise, his character was also admirable. He was exemplary in every way, be it in looks, habits, character, knowledge, piety, actions or in his words, He was always generous and merciful. Not only did those who knew him praise his character, but those who opposed him were also forced to accept his blessed character. Even though he was very gentle and kind, he became very firm and strong against those who insulted Allah and His Rasool (sallal laahu alaihi wasallam). For those who were true servants of Allah Ta'ala and Rasool (sallal laahu alaihi wasallam), he was like a rose, which brings pleasure at all times, and for the enemy of Allah and His Rasool (sallal laahu ataibi wasallam) he was a naked sword. When Shabb-e-Baraat (the eve of the 15th of Shabaan, when the Mercy of Allah reaches the sky above the earth) would arrive, Hujjatul Islam, Mawlana Haamid Raza Qadri (Alaihir Rahmah) would ask for forgiveness and pardon from all those around him. He was so sincere in this, that he would even ask forgiveness from children, servants and his disciples by saying: ?If I have been the cause of any pain to you, then please forgive me, and if I owe anything to anybody, then please inform me. Mawlana Haamid Raza Qadri (Alaihir Rahmah) was an excellent example of "AI Hubbu Lil Laahi Wal Bughzu fillah" or "Love for the sake of Allah and hate for the sake of Allah" and "Ashidaa'u alal kufaari wa Ruhamaa'u bainahum" or "Firm against the disbelievers and gentle amongst your own." Sheikh Hujjatul Islam, Mawlana Haamid Raza Qadri (Alaihir Rahmah) showed much love and gentleness towards his students and disciples and every one of his Mureeds felt that he was the most loved of Mawlana Haamid Raza Qadri's (Alaihir Rahmah) Mureeds. Once Mawlana Haamid Raza (Alaihir Rahmah) had just arrived home from a lengthy train journey. Whilst he was still seated on the wagon on, a person, who lived in Biharipur, Bareilly, arrived. He told Mawlana Haamid Raza (Alaihir Rahmah) that his elder brother, a Mureed of this great Saint, was very ill and wished to see his beloved Peer-o-Murshid. This person told Hujjatul lslam (Alaihir Rahmah) that he had come to his home for many days and had to leave when he was told that Hujjatul lslam (Alaihir Rahmah) was out on a journey and had not yet arrived. When Mawlana Haamid Raza (Alaihir Rahmah) heard this, he did not even get off the wagon. He quickly summoned his younger son, Hadrat Nu'mani Mian, and asked him to remove the luggage. He told his son to inform the household that he was on his way to visit a sick person. This great servant of Islam immediately went to the house of his ailing disciple (Mureed) and comforted him in his time of ailment and need. On another occasion, one of the disciples (Mureeds) of Hujjatul Islam invited his beloved Peer-o-Murshid to his home for a meal. He lived in Benaris. He was a very loyal disciple but had a firm temper. Due to unforeseen circumstances, Mawlana Haamid Raza (Alaihir Rahmah) was delayed and reached the home of the disciple (Mureed) after quite some time. Seeing that his Peer-o-Mushid had not as yet arrived, the disciple (Mureed) became upset, locked his home and left angrily with his family. When Mawlana Haamid Raza Qadri (Alaihir Rahmah) reached the house of his disciple, he saw that it was locked and the people of the house were away. Any other person would have been annoyed at this type of behaviour of a Mureed, but Hujjatul Islam knew the disposition of his disciple. Without even the slightest disappointment or show of anger, Hujjatul Islam (Alaihir Rahmah) returned to Bareilly Shareef with a smile on his face. After some time, when Mawlana Haamid Raza Qadri (Alaihir Rahmah) met this Mureed, he still spoke to him with love and apologized for the inconvenience he had caused although the disciple showed his dissatisfaction. The Mureed, on seeing the humbleness of his Peer-o-Murshid, immediately humbled himself in the Court of his Sheikh and showed more respect and love than ever. Hujjatul Islam dearly loved both the young and the elderly. His showed immense respect for the learned scholars as we have heard from Qutbe Madinah (Alaihir Rahmah). From amongst the Ulama he had much respect for Hadrat Ashrafi Mian, Sadrul Afaadhil Mawlana Naeemudeen Muradabaadi, Sadrush Shari'ah Mawlana Amjad Ali Razvi, Sher Bashai Ahle Sunnat Mawlana Hashmat Ali Khan, and his son-in-law and Khalifa, Mawlana Taqadus Ali Khan (Alaihimur Rahmah). He also had great respect for Haafiz-e-Millat, Mawlana Shah Hafiz Abdul Aziz (Alaihir Rahmah), who was the founder and Rector of Al-Jamiatul Ashrafiyah Arabic University, Mubarakpur. 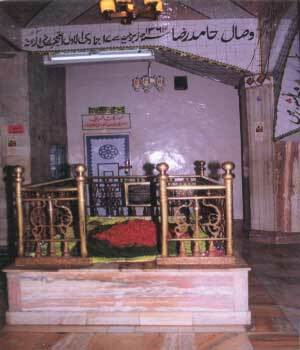 It was on the invitation of Hadrat Haafiz-e-Millat that Hujjatul Islam, Mawlana Haamid Raza Qadri (Alaihir Rahmah) made his first visit to Al Jamiatul Ashrafiyah in 1334 A.H. accompanied by his younger son, Hadrat Numani Mian (Alaihir Rahmah). Huzoor Haamid Raza Qadri (Alaihir Rahmah) loved the Holy Prophet (sallal laahu alaihi wasallam) dearly and his every action was in accordance to the Sunnah of the Holy Prophet (sallal laahu alaihi wasallam). Indeed how could he not be a true devotee when he was groomed at the feet of the greatest devotee of his time, A'la Hadrat (Alaihir Rahmah). His presence in Madinatul Munawwarah was an important event in his life when he had the opportunity of presenting himself before the Holy Prophet (sallal laahu alaihi wasallam). His love for the Holy Prophet (sallal laahu alaihi wasallam) can be seen in by the Naaths he wrote. Hujjatul Islam (Alaihir Rahmah) was a very pious and Allah-fearing personality. Whenever he gained any free time from his propagation and other works, he spent this time in the Remembrance of Allah (Dhikr) and in sending Durood and Salaams upon the Holy Prophet Muhammed (sallal laahu laihi wasallam). Once there was an abscess on his body that was very painful and according to the advice of the doctors, needed to be removed. The doctor who was to do the proceedure informed Hujjatul Islam, Mawlana Haamid Raza (Alaihir Rahmah) that he needed to give him anaesthetic, so that the proceedure could be done. Mawlana Haamid Raza (Alaihir Rahmah) refused to take any type of anaesthetic or anything to even numb the area of the operation by saying that he was not prepared to allow anything with alcohol into or on his body. The doctor informed Hadrat that there was no other way to do the proceedure, as the absence of anaesthetic would cause him unbearable pain during the proceedure. The proceedure was finally performed lasting more than an hour, without any anaesthetic. Hujjatul Islam during this time did not show any signs of discomfort and passed through the entire procedure reciting Durood-e-Paak. After the proceedure, the doctor was completely impressed by the firmness and Taqwa (piety) of Hujjatul Islam (Alaihir Rahmah). Mawlana Haamid Raza Qadri (Alaihir Rahmah) was a great orator, an admirable teacher and a learned Aalim. His life was spent in serving the Deen of Almighty Allah, by propagating Islam, defending the exalted pedestal of Prophethood and educating the Muslim masses in accordance with the pristine teachings of the Holy Quran and the Hadith. This was the real goal in his life. He lived for the sake of the protection of Islam and Muslims. He passed from this mundane world, upholding the flag of Islam. He was a great teacher as he was taught by none other than his blessed father, Imam Ahmed Raza Khan (Alaihir Rahmah) who was proud of his blessed son. For the purpose of strengthening the Maslak Ahle Sunnat Wal Jammat, Sheikh Hujjatul Islam, Mawlana Haamid Raza Qadri (Alaihir Rahmah) travelled to every corner of his country teaching Muslims and instilling in them the obedience of Allah and His Rasool (sallal laahu alaihi wasallam). He debated and refuted openly the Wahabis and all other false sects that were insulting Almighty Allah and His Rasool (sallal laahu alaihi wasallam). He saved the Muslim masses from the destructive forces of dubious politicians, and during the Shudhi Tahreek (A movement of the disbelievers to convert unsuspecting Muslim to disbelievers), he strongly opposed this movement and struggled for the protection of the Imaan of the Muslims. By being well-infomed regarding the political situation in his time, Hujjatul Islam, Mawlana Haamid Raza Qadri (Alaihir Rahmah) became well versed with the schemes of the dubious politicians. He guided the Muslims out of the ruthlessness of the political arena. He was also prepared to challenge and refute all those so-called Ulama and Muslim Leaders who were using Islam as a bargaining tool to gain political success. He had no fear for any person no matter what his political standing was. The great Mujaddid of Islam, Imam Ahmed Raza (Alaihir Rahmah) had passed a fatwa against Mawlana Abdul Baari Sahib Farangi Mahali due to certain of his political maneuvers and major errors. The very same Mawlana Abdul Baari hosted a massive conference in Lucknow to protest against the actions of the Najdi Government that was bulldozing the Mazaars of the Sahaba of the Holy Prophet (sallal laahu alaihi wasallam). Mawlana Haamid Raza Qadri (Alaihir Rahmah) with a few other learned Ulama, journeyed to Lucknow under the auspices of Jamaat-e-Raza-e-Mustapha. On their arrival, they were given a heroes welcome by Mawlana Abdul Baari and various other Ulama. When Mawlana Abdul Baari came forward to shake the hand of Hujjatul Islam, he pulled his hand back and said: As long as my blessed father?s fatwa is on you, and until you do not repent, I am not prepared to meet with you. Mawlana Abdul Baari Farangi Mahali seeing the firmness of Mawlana Haamid Raza (Alaihir Rahmah) immediately repented sincerely at the hands of Hujjatul Islam and said, Whether my dignity remains or not, I do not care. I repent in the fear of Almighty Allah, as I have to present myself in His Court. Let it be known that whatever Imam Ahmed Raza Khan wrote is the truth and the fact. An official Conference (at Government level) was held in Lucknow concerning new laws that were to be gazetted by he Government concerning Muslim marriages and divorce. Mawlana Haamid Raza Qadri (Alaihir Rahmah) and Mawlana Taqaddus Ali Khan (Alaihir Rahmah) were representatives from Bareilly Shareef at this conference. Many Shi'ite and Najdi Molvis were also present at this conference. Shah Suleman (Chief Justice of the High Court of India) and the son-in-law of Mawlana Abdul Baari Farangi Mahali, Janaab Abdul Waali were also amongst the representatives. During the debate on the issues of Islamic marriages and divorce, Hujjatul Islam, Mawlana Haamid Raza (Alaihir Rahmah), with his immense knowledge, wisdom and debating skills, uprooted all those with new ideas from their places. After this debate, the decision in this matter was made based on the argument presented by Huzoor Hujjatul (Alaihir Rahmah). Whenever he was faced with such situations, Mawlana Haamid Raza Qadri (Alaihir Rahmah) always stood by the Laws of Shari'ah and never compromised the teachings of the Shari'ah. In 1935, a Conference was held in Muradabad to address the religious, social, political and financial position of the Muslinis in India. Mawlana Haamid Raza Qadri (Alaihir Rahmah) was appointed the Head of this conference. During this conference, he delivered a lecture explaining all of the above topics to the Muslims masses. This lecture inspired the Muslims to take a firm stand for the sake of Islam. Mawlana Haamid Raza (Alaihir Rahmah) command of the Arabic language was worthy of praise and admiration. His Arabic was praised by both the Ulama of Indo-Pak sub-continent and of Arabia. Once, Qutbe Madinah (Alaihir Rahmah) presented a book written by himself on Knowledge of the Unseen to Hujjatul Islam during the physical lifetime of Imam Ahmed Raza (Alaihir Rahmah), so that he may write a foreword to the book. The foreword written by Mawlana Haamid Raza (Alaihir Rahmah) in the Arabic language was so well written that Qutbe Madinah was astounded. Hujjatul Islam, Mawlana Haamid Raza Qadri (Alaihir Rahmah) also wrote the translation and commentary of the world-renowned Ad Daulatul Makkiyah, which was written in eight hours by Imam Ahmed Raza Muhaddith Bareilwi on the topic of Ilme Ghaib. Once, Mawlana Haamid Raza (Alaihir Rahmah) had to go to Darul Uloom Mueenia in Ajmer Shareef as an examiner during the final examinations. While in Ajmer Shareef, Hadrat Mawlana Mueenudeen Saahib Ajmeri (Alaihir Rahmah), requested Mawlana Haamid Raza Qadri (Alaihir Rahmah) to write something concerning the Darul Uloom. Hadrat agreed and said that he knew three languages, namely, Urdu, Arabic and Persian and that he would write in whatever language was necessary. During this time, Mawlana Mueenudeen was not very well versed with the immense knowledge possessed by Hujjatul Islam (Alaihir Rahmah), so be suggested jokingly that the article should be written in Arabic. Hujjatul Islam immediately wrote an article of numerous pages in the Arabic language, while the earned Mawlana looked on. After some time, Mawlana Haamid Raza Qadri (Alaihir Rahmah) handed the article over to the learned Mawlana who perused through the document in amazement. After Mawlana Haamid Raza (Alaihir Rahmah) handed over the article, he left. When Mawlana Mueenudeen sat down to translate the document, he found that the Arabic language in which the article was written was so pure and deep that he could not even understand many of the words used. He had to search through advanced Arabic Dictionaries and the books of the Arab Ulama to find the meanings to words used by Hujjatul Islam in the article. Allah azza wajal blessed Mawlana Haamid Raza (Alaihir Rahmah) with the opportunity of visiting the Haramain Sharifain for the purpose of Hajj and Ziyaarah. He travelled for his first Hajj in 1323 A.H. (I905) with his blessed father, Imam Ahmed Raza Khan (Alaihir Rahmah). This was an elevated Hajj for him and was a journey of much learning and experience. It was in this Hajj that he put together the Kitaab, Ad Daulatul Makkiyah bil Maad'datil Ghaibiyyah, which was written on this journey by Imam Ahmed Raza (Alaihir Rahmah). The most important part of this journey was Mawlana Haamid Raza's (Alaihir Rahmah) visit to the exalted court of his and our beloved Master, the Means of Creation, Hadrat Ahmad-e-Mujtaba Muhammad Mustapha (sallal laahu alaihi wasallam). He relished the opportunity to be present in the Court of the Holy Prophet Muhammed (sallal laahu alaihi wasallam). Allah azza wajal blessed Mawlana Haamid Raza (Alaihir Rahmah) with his second Hajj in 1334 A.H. In 1925, Mawlana Haamid Raza Qadri (Alaihir Rahmah) visited Pakistan as a representative at the Annual Conference held under the banner of Hizbul Ahnaaf. During this visit, Mawlana Haamid Raza (Alaihir Rahmah) gave a challenge of Munaazira (debate) to the Deobandis. At the very last moment, when the debate was about to commence, the Deobandis made a lame excuse and refused to debate with Hujjatul Islam (Alaihir Rahmah). Hujjatul Islam, Mawlana Haamid Raza (Alaihir Rahmah) also met with the poet and philosopher, Dr. Iqbal. When Mawlana Haamid Raza Qadri (Alaihir Rahmah) informed him of the corrupt and blasphemous beliefs of the Deobandis, he was astonished and replied by saying: These are such blasphemous statements made by these people, why is the sky not falling on them? The sky should fall in such blasphemy. It was during this journey that a very important event took place. While Mawlana Haamid Raza Qadri was in Lahore, a young man who was at that time studying at an English school, would visit Mawlana Haamid Raza daily. Everybody else came to ask questions, or request Taweez, etc. but this young man would come daily, sit silently and look at the face of Mawlana Haamid Raza (Alaihir Rahmah). When just a few days were left for Hujjatul Islam to return to India, Hujjatul Islam asked his reason for coming to visit him daily and yet not requesting anything. The young man replied by saying that his only request was to accompany Mawlana Haamid Raza Qadri (Alaihir Rahmah) back to India and become his student in attaining knowledge of Deen. Hujjatul Islam (Alaihir Rahmah), on hearing the request of the youngster, was very pleased and immediately agreed to take him with. This young man studied with great sincerity, respect and dedication at the feet of Hujjatul Islam, Mawlana Haamid Raza Qadri (Alaihir Rahmah) and qualified with distinctions as an Aalim and Muhaddith. This young boy grow up to be none other than the world-renowned Muhaddith-e-Azam Pakistan, Mawlana Sardaar Ahmad (Alaihir Rahmah) who later became the Leader of the Muslims in Lahore. This was definitely the karam of Hujjatul Islam (Alaihir Rahmah) on Muhaddith-e-Azam Pakistan that led him to being one of the greatest scholars of Hadith in Pakistan. Hujjatul Islam, Mawlana Haamid Raza (Alaihir Rahmah) served the Muslim Ummah in various ways. He encouraged them to become self-sufficient and not remain labourers and s!aves of the West. In 1925 he held a conference in Muradabad under the banner of All India Sunni Conference in which he explained to the Muslims the importance of being self-sufficient. He delivered an inspiring lecture in which he pointed out the importance of Muslims strengthening their financial positions and removing themselves from dependency. A few excerpts from his lecture are being quoted below. "Our only means of income today is as labourers or as public servants. The situation has become so bad, that even the Hindu Nawaabs do not employ Muslims anymore. As for jobs in Government, our applications never seem to reach the proper authorities, and even if they do, it takes three years to process by which time a person is soaked in debts. By the time he receives a Job, his debts are so vast that the small Government salary is not enough to pay off these debts. Even if he gets the job, then because of the large numbers of Hindus in high positions, he is always being watched (and can be removed for a minor reason). "We must realise that our incomes should not be confined to such jobs. We should learn different trades and gain expertise in various fields. We should start businesses and factories, so that our socio-economic conditions may be strengthened. Today, all our certificates and diplomas are not accepted. We do not have the proper finances to educate our children. If we had some type of profession or trade, then today we would not have been dependant like the way we are. Today, if a person loses his job, he and his family are destroyed, as he has no other means of dependable income. We should now completely forget the thought of labouring. Labouring has never given success to any nation in the world. Muslims should become professionals and tradesman if they wish to gain economic and financial stability." This was movement of the Hindus to convert unsuspecting Muslims to disbelievers, by using political and financial influence. It was during this time that Hujjatul Islam (Alaihir Rahmah) protected the Imaan of the Muslims and saved thousands of Muslims from becoming Murtads. "The movement of converting the Muslims by the 'shudi' is now not only in the main states, but they have now spread their false movement throughout the country. They are using their schemes in the whole of India and are taking advantage of ignorant and unsuspecting Muslims. Huge groups of people are being destroyed and caught in their web of deceit. Muslims do not have many institutes and organisations to combat this corruption and wherever there are organisations, then due to a lack of correspondence, they are either not well informed or do not have the expertise to cope with this dangerous problem. Unless Ulama are summoned from other parts of the country to combat this problem in the affected areas, these will be no success. I already have experience in such situations and it must be known that these movements of infidelity destroy the propagation work of Muslims. "I have been to the effected areas where thousands of Rupees have been given to Muslims to sell their Imaan and they have been promised positions and power. In such places, all that I could use were the words of the Beloveds, reminding Muslims of our religion and of the fear of Allah. This seemed to be the only medicine for those with the illness of weak Imaan. This method was so successful that the Muslim youth that were being misled immediately repented and kicked away the promises of wealth and power given to them by the disbelievers and became obedient to the words of Allah and His Rasool (sallal laahu alaihi wasallam). "Whenever Sunnis decide to call for unity with others (non-Sunnis) they should first remember the opposition from their own. What reason is there to try to unite with those who spend their days and nights scheming to undermine the Ahle Sunnat and increasing their number of misled followers? Our true brothers have not allowed such movements to be successful. Remember! If these other groups were on Haq, then there would have been no I need for them to leave the mainstream and form their own firqas (groups). An example of this is the newly formed Khilafat Committee, which used the front of support of the Khilafat Movement to call for unity. Even in this Committee, there is a joint Union of the so-called Jamiatul Ulama, which is made up of a majority of Wahabis, Ahle Hadith and Ghayr Muqallids. This forefront was only used to win the support of the Sunnis on the name of unity, but it is the same group of people that are openly opposing the beliefs of the Ahle Sunnah. I received a letter from Molvi Ahmed Mukhtar, who is the President of Jamiatul Ulama Bombay in which he writes that the huge amounts of money have been collected from the Muslim community and with this, two hundred thousand copies of 'Taqweeyatul Imaan' (this book has been written by Ismaeel Dehlwi, who in it has made statements of blasphemy against the Holy Prophet Muhammed sallal laahu alaihi wasallam) have been printed and distributed free. Now I ask, should we now join and unite with such groups? It is definitely a means of destruction. It is with our own finances that our very religion is being destroyed." Mawlana Haamid Raza Qadri (Alaihir Rahmah) had a deep feeling for the importance of knowledge. He spent much time encouraging students and parents alike to attain knowledge. He tried his utmost to explain the importance of education for females. He travelled throughout India trying to instill the importance of educating females in the hearts of the Muslim Ummah. "It is also of utmost importance to have educational institutes for females. In addition to religious education, they should be taught simple home economics such as dressmaking, etc. that they would be able to do from their homes. However, in doing this, there must be strict adherence to the laws of Pardah." His speech at the Muradabad Conference inspired the hearts of many. KARAAMAT AS A TEACHER: Once, a few teachers from the madressa decided to resign. They had thought that they would be indispensable and that nobody would be able to teach. The Karaamat of Hujjatul Islam was that he taught all the students all the subjects, with even more insight than was given by any other teacher. The scheme of the teachers failed hopelessly and even more students enrolled at the Madressa after becoming aware of the high level of education being attained by students under the tutorship of Hujjatul lslam (Alaihir Rahmah). THE GRAVE IS IN THE INCORRECT PLACE: Haji Muhammad Ismaeel bin Haji Abdul Ghaffaar Saahib reported that once Hujjatul Islam went to Madanpura. After Salaah, he was asked to make Fateha at the Mazaar of one of the Awliya Allah whose Mazaar was on the Musjid properly. Hadrat lifted his hands for Du'a, and after a few moments moved back and said that the grave in the Mazaar was not in its original place. The people were astounded and informed Hadrat that they had moved the spot of the actual grave slightly due to the shortage of saff space. Hujjatul Islam explained to them that this was improper and that it should be rectified. REMOVING JINNAAT: Mawlana Haamid Raza Qadri (Alaihir Rahmah) was blessed with the mystical power of removing Jinn and Aaseb (evil spirits). Once, while he was in Banaris, many people heard of the mystical power possessed by him and thus crowds of people arrived to take his Du'as. He asked for some clothing of all those with such problems to be placed in front of him. He looked once at the clothing and then only removed a few and said, "On these people are effected, there is nothing wrong with the rest of them." He then prayed with the clothes in front of him, and in a few days all those with these problems were fully cured. Also during this time in Banaris, there was a person who has such a strong Jinn controlling him that he used to run on the roofs of high buildings late at night. His family was very worried and brought him to Hujjatul Islam, (Alaihir Rahmah), who made Du'a for him. The Jinn, which was affecting him, immediately made tauba (repentance) and left him, and the person was cured for good. "When I visited Bareilly Shareef, A'la Hadrat (Alaihir Rahmah) was writing the eleventh stanza of his famous Naaths 'Wo Kamaal-e-Husne Huzoor he, ke Gumaan Naqs Jahaa Nahi'. As I was from the lineage of Ghaus-e-Azam (Alaihir Rahmah) I took this to be a good sign for me. "While I was in Bareilly Shareef, I became very close to Huzoor Sheikh Hujjatul Islam, Mawlana Haamid Raza Qadri (Alaihir Rahmah) and I had to accept that he was, undoubtedly, a Saahibe Karaamat. The reason I am saying this is because, I left Bareilly Shareef and went to Dehli after sometime. In Dehli, I had taken a place to stay, which was right next to where the Deobandis were having one of their gatherings. I could thus hear their lectures from my room. "During a lecture session, one of their Molvis stood up and said the following in his lecture, 'This Mawlana Haamid Raza is not Haamid, but he is Jaabid (dumb)'. After saying this, all those present witnessed that, that Molvi became dumb and could not speak anymore. A few moments after this, he fell to the ground and died an agonizing death. Those present at the gathering say that when he fell to the ground, he tried to say something but could not talk. He signalled for a pen and paper. Those in the gathering quickly brought him a pen and a paper on which he wrote the following before dying, 'I repent for my disrespect towards Mawlana Haamid Raza Khan'." A brief synopsis of the lives of a few of Mawlana Haamid Raza Qadri's (Alaihir Rahmah) close students is being quoted below for your perusal. MUHADDITH-E-AZAM PAKISTAN: He was amongst the most famous and most recognized students and Mureeds of Mawlana Haamid Raza Qadri (Alaihir Rahmah). Muhaddith-e-Azam Pakistan Mawlana Sardaar Ahmed (Alaihir Rahmah) who was born in a village in Punjab in 1903 was the son of Janaab Miraan Bakhsh. He had completed his primary and secondary education at an English school and had passed matric. When he was in the second year of his tertiary education, he met Mawlana Haamid Raza Qadri (Alaihir Rahmah) during the Hizbul Ahnaaf Conference in Pakistan. Here he took a deep liking towards the great Saint, and later accompanied him to Bareilly Shareef and became his Mureed. He studied with much sincerity and respect under the tutorship of his Peer-o-Murshid, and completed his education up to the book, Kaafia at Darul Uloom Manzare Islam (Bareilly Shareef). He then went to Darul Uloom Mueenia in Ajmer Shareef where he studied the rest of the course under the watchful eye of Khalifa-e-A'la Hadrat, Hadrat Allama Sadrush Shariah (Alaihir Rahmah). In 1351 A.H., he returned to Bareilly Shareef with Sadrush Shari'ah where he completed his final examination and graduated with distinctions. In 1354 A.H., he debated against the notorious Molvi Manzoor Nu'mani and was blessed with success in this debate. He taught for some time at Madressa Manzare Islam until Mufti-e-Azam Hind (Alaihir Rahmah), the younger son of A'la Hadrat (Alaihir Rahmah) invited him to take up the position of the Principal of Madressa Manzar-e-lslam in 1356 A.H. He remained in this position until the independence of Pakistan. After independence, he went to Lailpur in Pakistan where he established Darul Uloom Mazhare Islam. Hundreds of students from the entire Indo-Pak Sub-continent en?rolled at his Madressa to gain knowledge. He passed away at 1.40 a.m. on the night of the first of Shabaan 1382 A.H. There were more than four hundred thousand people in his Janazah Salaah which was performed by Allama Abdul Mustafa Azhari, who was the son of Sadrush Shari'ah (Alaihir Rahmah) and the brother of Muhaddith-e-Kabeer, Allama Zia-uI-Mustapha Saahib, who is the current Sheikhul Hadith and Principal of Al Jamiatul Ashrafiyah Arabic University in Mubarakpur. HUZOOR MUJAHID-E-MILLAT: His name is Mawlana Shah Muhammad Habeebur Rahman. He was given the title of Mujahid-e-Millat. He was born during Subah Sadiq on a Saturday, the 8th of Muharram 1322 A.H. in Dhaamnagar, India. Hadrat Mawlana Shah Abdul Manaan (Alaihir Rahmah) gave him the name Habeebur Rahmaan. He is a direct descendant of the great Sahabi, Sayyiduna Abbas (Alaihir Rahmah), the uncle of the Holy Prophet Muhammad (sallal laahu alaihi wasallam). His family had initially enrolled him at an English school, even though he had no enthusiasm for this. Mawlana Shah Muhammad Habeebur Rahman was nine years old when his father passed away. He thus divorced himself from secular education and commenced Islamic studies. He attained his early education at home. He later enrolled at Madressa Subhania in Ilahabad, and later in Jaamia Mueenia in Ajmer, where he atttained knowledge under the distinguished tutorship of teachers like Mawlana Naeemudeen Muradabaadi (Alaihir Rahmah), who was the Khalifa of A'la Hadrat (Alaihir Rahmah) and the commentator of the Holy Quran Kanzul Imaan translated by the great Mujaddid of Islam. After graduating Mawlana Shah Muhammad Habeebur Rahman (Alaihir Rahmah) taught for some time at Jamia Naeemia Muradabad, which was the Madressa of Mawlana Naeemudeen Muradabaadi (Alaihir Rahmah). He was later appointed as the Principal of Madressa Subhania in 1934, where he taught Hadith, Tafseer and various other subjects. He was particularly well-versed in the field of logistics and philosophy. Mawlana Shah Muhammad Habeebur Rahman (Alaihir Rahmah) was an Allah fearing and pious personality. He kept fast from the age of nine, and was very kind and gentle. He always cared for the downtrodden and the destitute. He used to travel throughout India spreading the teachings of the Maslak-e-Ahle Sunnat in a very humble and beautiful way giving Muslims advice on the issues of Aqaaid and Deen, which was his most liked action. He founded a string of Institutes and Organizations throughout India. He was blessed with deep political and social knowledge. Mawlana Shah Muhammad Habeebur Rahman (Alaihir Rahmah) gained blessings from great scholars like Ashrafi Mian, Qutbe Madinah and his Spiritual Master, Mawlana Haamid Raza Qadri (Alaihir Rahmah). He was blessed with journeying for Hajj on various occasions. His first Hajj was in 1341A.H., second in 1955, third in 1959, fourth in 1973, and lastly in 1974. In 1979, he was arrested by the Saudis and deprived of Hajj for not praying Salaah behind them. He was also blessed with the Ziyarah of Baghdad Shareef twice. He passed away at 5.45 p.m. on a Friday, the 6th of Jamadi-ul-Awwal 1401 A.H. (13th March 1981) in Bombay. His Mazaar Shareef is in Orissa, India. He was blessed with Khilafat from Hujjatul Islam, Qutbe Madina and Allama Sadrush Shari'ah (Alaihimur Rahmah). He left this mundane world travelling to the Hereafter in the love of his Creator. SHER BASHAI AHLE SUNNAT, MAWLANA HASHMAT ALI KHAN: His name was Mawlana Hashmat Ali Khan and his title was Sher Bashai Ahle Sunnat. He was born in Lucknow and attained his early education under Mawlana Sayyid Shah Ainul Quzza Lucknowi. His father, Nawaab Ali Khan, was the Mureed of Mawlana Shah Hidaayat Rasool. On the command of Mawlana Sayyid Shah Hidaayat Rasool, his father sent him to Bareilly Shareef to study under the tutorship of Sadrush Shari'ah (Alaihir Rahmah). During his graduation in 1340 A.H., Hujjatul Islam, Mawlana Haamid Raza Qadri (Alaihir Rahmah) tied the turban on his head and blessed him with Khilafat. He defeated a very dubious Wahabi in a debate, during the life of Imam Ahmed Raza (Alaihir Rahmah). 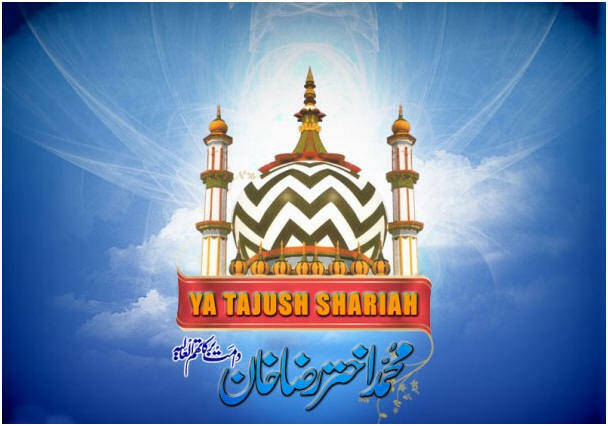 When he returned to Bareilly Shareef, the great Mujaddid blessed him with his Duas. He was well-recognized for his refutation of the Wahabis. He was very humble and apologized for any shortcomings as soon as he was informed of any error. He was also blessed with the opportunity of Hajj and Ziyarah. He was the Mureed of Sadrush Shari'ah Mawlana Amjad Ali (Alaihir Rahmah). He passed away on the 8th of Muharram 1330 A.H. and his Mazaar is in Pillibit Shareef. His two sons, Hadrat Mawlana Mushahid Raza and Hadrat Mawlana Mashhood Raza (Alaihir Rahmah), both qualified at Jamia Ashrafia (Mubarakpur). Hujjatul Islam, Mawlana Haamid Raza Qadri (Alaihir Rahmah) passed away on 17th of Jamadi-ul-Ulaa (23rd May 1943) while performing his Salaah. He was sitting in the Tashahhud position when he passed away. The demise of Mawlana Haamid Raza (Alaihir Rahmah) was a great loss to the entire Sunni community. Hundreds of thousands of devotees and Mureeds gathered for his Janazah Salaah, which was performed by his Khalifa, Muhaddith-e-Azam Pakistan, Mawlana Sardaar Ahmad (Alaihir Rahmah). His blessed tomb is beside his father, Imam Ahmed Raza (Alaihir Rahmah). Every year thousands of Muslims attend the Urs Shareef and pay tribute to a true and faithful servant Allah, a true devotee of the Holy Prophet (sallal laahu alaihi wasallam) and an Aalim and Saint of his time. May Almighty Allah bless us with his Fuyooz and Barakah always. Ameen.